Jose Aldo continues to turn back the time on his MMA career and did it again against Renato Moicano. The two fighters met in a featherweight bout at the UFC on ESPN+ 2 from the Centro de Formação Olímpica do Nordeste in Fortaleza, Brazil. 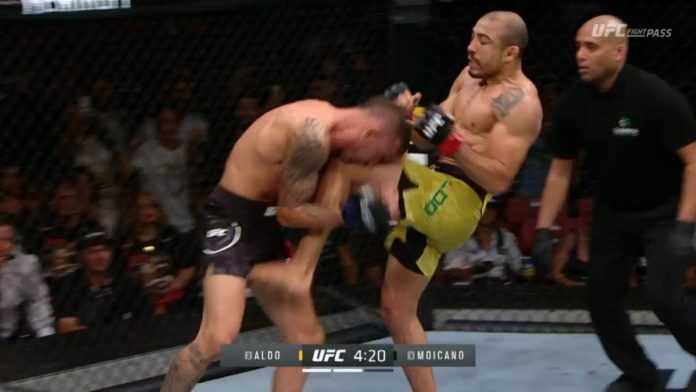 In the second round, Aldo landed a big knee strike to the jaw of his opponent and then finished him on the feet with strikes to lock up the win.